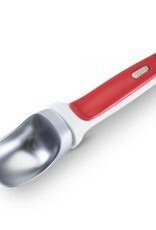 The Zyliss Right Scoop has a superior design which makes it well equipped to dig into even the hardest frozen confection. 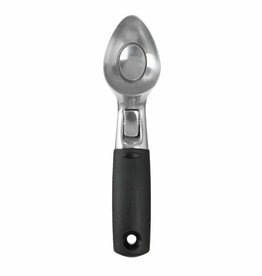 You can use it on ice cream, sorbet or frozen yogurt with ease! The scoop shape also creates and appetizing presentation. 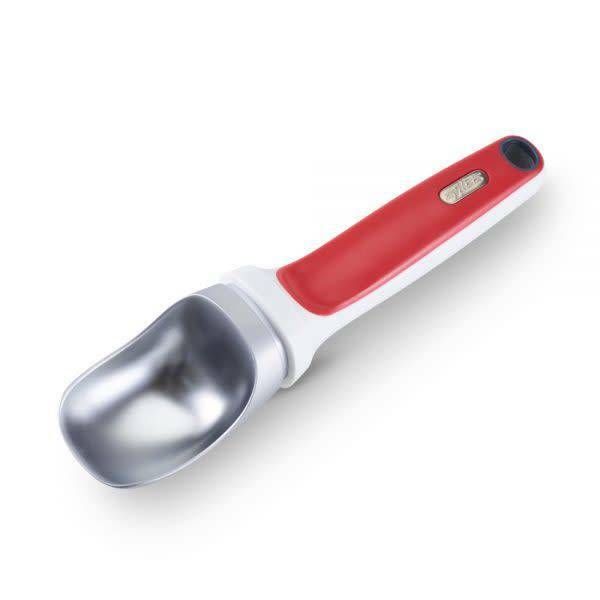 The Right Scoop comes with a non-slip ergonomic handle that keeps your hands out of the cold and free from strain. Plus, the handle is treated so that it will not yellow with age. Since 1948, Zyliss has been creating tools and gadgets to meet the growing need of consumers worldwide. Behind every Zyliss kitchen tool is the design to delight principle. A belief that all Zyliss products should not only do a brilliant job, simply and efficiently, but also make our customers smile every time they use them. Zyliss Guarantees all products to be free from defects in material and workmanship for 5 years on manual appliances. Dimensions: 8.75'' x 2'' x 1.